Activewear brand Champion lives by its fundamental principles of integrity, reliability and authenticity with every piece it produces. 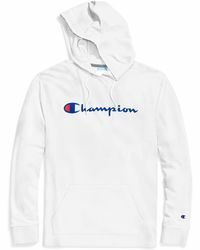 Recognized worldwide for its extensive line of laid-back, comfortable and functional designs, this brand is a favorite among athletes and style-conscious individuals alike. 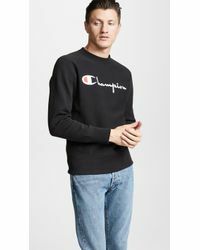 Champion's range of sweats is ideal for lounging in style. From bold, slogan-print designs to innovative, vibrantly colored sweat shorts to eco-friendly sweatshirts lined with seriously comfortable fleece, kick back and relax in style with this effortlessly cool line of sweats.